January 15, 2019 — There are and have been many gifted artists, but few come along who are decidedly cool. Their look, their sound, their effortless, organic vibe: just cool. Miles was, and he rightfully claimed it for an album title. Prince had it. And H.E.R. is doubtless their musical descendent. 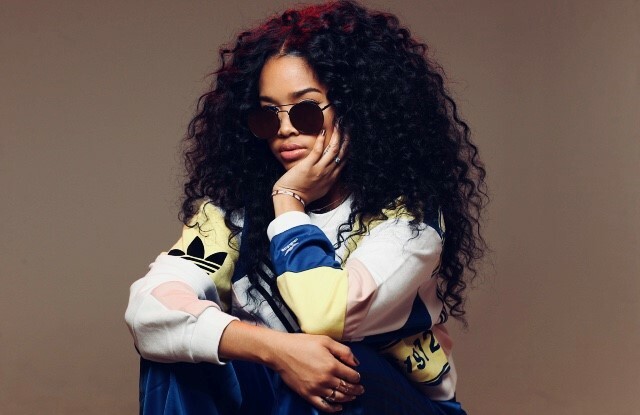 On her recent televised appearance for James Corden, smiling broadly behind fashionable shades, H.E.R. made clear that she’s the re-birth of the cool. Her buttery smooth vocals alone are reason enough to watch this performance of “Carried Away,” but her quiet swagger and virtuosity on 3 instruments are the stuff of legend. Enjoy.